girls we could find. So many great looks! and shoot them. So much fun! AWESOME! I'd love a whole magazine like this. Loved this issue of Vogue. Topshop is super amazing for high street too. Wish there was summer and more possibility to expose the gear. Thank you so, so very much for all these lovely comments. It means a lot to me, x. Love your blog soooo much! I love your blog ! Great!!!!! topshop AND vogue? that's sort of the dream team there. so lucky! 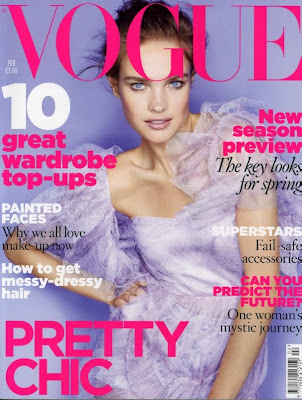 Love Natalia on the cover of that vogue issue. Great pics! loving the blog! Just i can say is awesome pictures.